Draft: 2014, Boston Red Sox, 2nd rd. Full name is Samuel John Travis. Signed by Blair Henry (Red Sox). Played baseball at Indiana University (2012-14), where he hit .327 with 31 HR in 184 games...Named 2012 Big Ten Freshman of the Year and 2014 Big Ten Player of the Year. Graduated in 2011 from Providence (IL) High School... Named Illinois Player of the Year by the Chicago Tribune after hitting .504 with a 1.023 SLG as a senior. Played 19 ML games over 3 stints with the Red Sox, making 3 starts in LF, 3 at DH, and 1 at 1B... Spent most of the season with Triple-A Pawtucket. For BOS, went 8-for-36 (.222) with 3 2B, 1 HR, and 7 RBI. Began the season ranked by Baseball America as the No. 7 prospect in the Red Sox organization, as well as the system's best hitter for average. Played 97 games for Pawtucket...Hit .258 (93-for361) with 35 runs, 13 2B, 8 HR, and 43 RBI. Against LHP in the minors, batted .284 with a .367 OBP (27-for-95, 5 2B, 3 HR, 12 BB). For the PawSox, made 45 starts at 1B and 35 in LF. Led BOS with 6 HR and 17 RBI in Spring Training. Began the season with the PawSox and hit .383 (18- for-47) with 3 2B, 1 HR, 8 RBI, and a .963 OPS over his first 12 games of the season. Spent time on Pawtucket's disabled list from 4/30- 5/11 with a left intercostal strain. Recalled for his first ML stint of the year on 6/2 and drove in 3 runs in his first 2 games. His first ML plate appearance of the season resulted in a pinch-hit, 2-run single on 6/3 at HOU...Became the first Red Sox hitter to record a pinch-hit RBI in his first at-bat of a season since Pedro Ciriaco on 4/5/13 at TOR. Made his ML outfield debut on 6/7 vs. DET, starting in LF. Optioned on 6/11 and played 24 games for the PawSox before being recalled again on 7/13. Optioned on 7/15 and hit safely in 18 of his next 19 games with Pawtucket, batting .346 (27-for-78) with 12 runs, 3 2B, and 9 RBI over the stretch...Drove in 11 runs over an 11-game span from 8/7-17. Returned to the Red Sox on 9/1 and appeared in 14 more games with the club...In his final 8 games, posted a .333/.333/.667 batting line (5-for-15, 4 R, 2 2B, HR, 3 RBI). Hit his 1st career ML homer off Shane Bieber on 9/21 at CLE, giving the Sox a 1-0 lead in the 3rd inning...Also tied the game at 4-4 with a 2-run double in the 7th, helping the Sox earn a 7-5 win. Made his ML debut, appearing in 33 games over 3 stints with the Red Sox...Went 20-for-76 (.263) with 13 runs scored, 6 2B, 1 RBI, and 1 SB...Made 17 ML starts at 1B and 2 at DH...Converted all but 1 of his 119 total chances at 1B (.992 fielding %). In 48 PA vs. LHP in the majors, hit .381 (16-for-42, 5 2B) with a .458 OBP and a .500 SLG. In 29 PA leading off an inning with BOS, posted a .346/.414/.462 batting line (9-for-26, 3 2B, 3 BB). Also played 82 games for Triple-A Pawtucket...Made 58 starts at 1B, committing just 2 errors in 501 chances for a .996 fielding percentage. Slugged .508 (6 2B, 3 HR) in 63 AB vs. Triple-A LHP. Reached base 4 times on Opening Day on 4/7 at Lehigh Valley, doubling twice and walking twice. In 21 games from 4/22-5/18, hit .370 (30-for-81) with a .969 OPS and 11 multi-hit efforts. Over a 4-game series from 5/15-18 at Scranton/Wilkes-Barre, went 11-for-19 (.579) with 6 runs, 2 2B, 2 HR, and 7 RBI...On 5/18, recorded a season-high 5 hits. Selected to the ML roster on 5/23...Over his 1st stint with BOS, went 8-for-17 (.471) with 2 2B, 2 BB, and 6 runs scored in 6 games. Became the 3rd Red Sox player since 1913 to score 6+ runs in their first 5 ML games, joining Sam Horn (7 in 1987) and Dave Stapleton (6 in 1980). Made his ML debut on 5/24 vs. TEX, starting at 1B...Recorded his 1st ML hit off Martin Perez in the 5th inning and finished the day 2-for-4 with a run scored...Became the 1st Sox hitter to record 2 hits in his ML debut since Will Middlebrooks on 5/2/12 vs. OAK, and the first Sox 1B to do so since Hal Janvrin on 7/9/1911 at STL (source: Elias). On 5/30 at CWS, went 3-for-4 with 3 runs, his first 2 career 2B, and his first SB...Since 1980, the only other Sox hitter with 3 runs in a single game within his first 4 career games was Morgan Burkhart (6/29/00 vs. BAL). Optioned to Pawtucket on 6/9 and played 11 games before being recalled again on 6/20. Started at 1B on 6/20 at KC and drove in the winning run, his first career RBI, on a double in the 4th. Went 1-for-2 with 2 BB in Game 1 of a 7/16 doubleheader vs. NYY...Optioned to Pawtucket the following day. Played in 38 more Triple-A games before his final ML recall...In his final minor league game on 8/30 at Buffalo, gave Pawtucket a lead with a solo HR in the 6th and added 2 RBI on a 12th-inning single in an eventual 4-2 win. Recalled by BOS on 9/1 and hit safely in 3 of his first 4 AB from 9/3-4. Played in 47 games for Triple-A Pawtucket (34 at 1B, 13 at DH) before suffering a season-ending knee injury on 5/29...Following the season, ranked by Baseball America as the Red Sox' No. 6 prospect. Earned his 1st invitation to Major League Spring Training camp as a non-roster player and led the Red Sox with 13 RBI in 18 Grapefruit League games, hitting .469 (15-for-32) with 2 2B, 2 HR, and 4 runs scored. Hit .272 (47-for-173) and ranked among PawSox leaders with 6 HR (4th) and 29 RBI (T-5th). Was 17-for-44 (.386) with RISP (5 2B, 4 HR, 25 RBI). Was named Red Sox Minor League Base Runner of the Month in April...Hit .289 (24-for-83) with 12 R, 6 2B, 2 HR, and 14 RBI during the month. Recorded 4 straight multi-hit games from 4/17-20, batting .588 (10-for-17) with 5 runs, 2 2B, and 5 RBI. Recorded his only career multi-HR game on 5/15 vs. Gwinnett, driving in a career-high 5 R (2-for-3, 2 BB, 3 R). Removed from the game on 5/29 vs. Indianapolis after injuring his left knee in a rundown play...Diagnosed on 5/30 with a torn left anterior cruciate ligament (ACL) and missed the remainder of the season. At the time of his injury, his 29 RBI were the 7th-most in the International League...Of the 16 contests in which he collected an RBI, 8 were multi-RBI games. 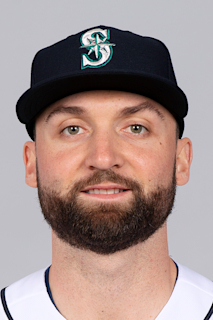 April 4, 2019 Boston Red Sox optioned 1B Sam Travis to Pawtucket Red Sox. September 1, 2018 Boston Red Sox recalled 1B Sam Travis from Pawtucket Red Sox. July 20, 2018 Boston Red Sox optioned Sam Travis to Pawtucket Red Sox. July 16, 2018 Boston Red Sox optioned 1B Sam Travis to Pawtucket Red Sox. July 13, 2018 Boston Red Sox recalled Sam Travis from Pawtucket Red Sox. June 11, 2018 Boston Red Sox optioned 1B Sam Travis to Pawtucket Red Sox. June 2, 2018 Boston Red Sox recalled Sam Travis from Pawtucket Red Sox. May 12, 2018 Pawtucket Red Sox activated 1B Sam Travis from the 7-day disabled list. May 1, 2018 Pawtucket Red Sox placed 1B Sam Travis on the 7-day disabled list retroactive to April 30, 2018. Left intercostal strain. March 26, 2018 Boston Red Sox optioned 1B Sam Travis to Pawtucket Red Sox. October 14, 2017 1B Sam Travis assigned to Gigantes del Cibao. October 12, 2017 Sam Travis roster status changed by Boston Red Sox. October 5, 2017 Boston Red Sox reassigned 1B Sam Travis to the minor leagues. September 1, 2017 Boston Red Sox recalled 1B Sam Travis from Pawtucket Red Sox. July 18, 2017 Boston Red Sox optioned 1B Sam Travis to Pawtucket Red Sox. June 20, 2017 Boston Red Sox recalled Sam Travis from Pawtucket Red Sox. June 9, 2017 Boston Red Sox optioned 1B Sam Travis to Pawtucket Red Sox. May 23, 2017 Boston Red Sox selected the contract of Sam Travis from Pawtucket Red Sox. January 18, 2017 Boston Red Sox invited non-roster 1B Sam Travis to spring training. September 14, 2016 Pawtucket Red Sox activated 1B Sam Travis from the 7-day disabled list. May 31, 2016 Pawtucket Red Sox placed 1B Sam Travis on the 7-day disabled list. April 6, 2016 1B Sam Travis assigned to Pawtucket Red Sox from Portland Sea Dogs. January 13, 2016 Boston Red Sox invited non-roster 1B Sam Travis to spring training. June 25, 2015 1B Sam Travis assigned to Portland Sea Dogs from Salem Red Sox. April 7, 2015 1B Sam Travis assigned to Salem Red Sox from Greenville Drive. March 7, 2015 1B Sam Travis assigned to Boston Red Sox. August 1, 2014 1B Sam Travis assigned to Greenville Drive from Lowell Spinners. June 18, 2014 1B Sam Travis assigned to Lowell Spinners. June 17, 2014 Boston Red Sox signed 1B Sam Travis.